eBay sellers are constantly looking to expand their eBay inventory and possibly pick up a new sales niche. One highly popular niche of items to sell on eBay and Amazon.com includes kitchenware. Specifically, coffee mugs. Restaurant Collectibles – Hardees, Dave & Busters, Steak n Shake, etc. FireKing – Produced by Anchor Hocking in the 1940s for everyday use. Today, Fire-King is highly sought after by collectors or persons looking to replace a piece of their collection. Family: Mugs denoting family members are in demand throughout the year. These mugs make perfect gifts for Father's Day, Mother’s Day, birthdays, anniversaries all year round. OTAGIRI Japan – Very decorative collectible mugs produced in Japan. Many of the designs are retired and can fetch a pretty penny on eBay. Hollywood – Favorite gifts to give at Christmas include mugs from Hollywood including: The Office, Star Wars, Friends “Central Perk”, Cheers. I sold a True Detective “Big Hug Mug” for $37 shipped. 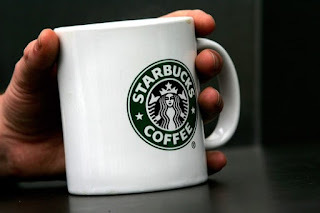 Starbucks mugs.Starbucks holiday themed mugs as well as dated coffee mugs are often good sellers on eBay. 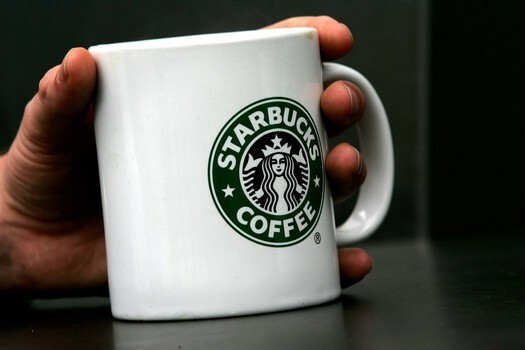 For example, I sold a set of 4 Starbucks Candy Striped mugs for $56 shipped. The most secure and cost effective way to ship a mug is called the FOMO method. This method involves securing the mug in a cardboard box, then placing the box into an USPS flat-rate bubble mailer envelope. I have yet to have any complaints of breakage. However, just to be sure, always select the option for free USPS insurance. To do so, view Shipping on eBay with Free Insurance using USPS Priority Mail. eBay sellers can reduce time and effort when shipping a number of eBay items by using the Shipping Action – Print Shipping Labels option within eBay. Visit How to Create Multiple Shipping Labels on eBay for detailed instructions. By printing multiple shipping labels at a time, sellers can enter the weight of all items awaiting shipping, select the delivery service type, pay and print for all labels at once. Then, eBay provides the seller with a Shipment Confirmation Acceptance Notice (SCAN) Form that can be presented to the postal clerk upon acceptance of the packages. However, top rated sellers concerned about eBay’s defect rating system should be cautious of this time-saving technique for printing multiple shipping labels. 2. The tracking numbers displayed under Sold / Shipping Labels are not tracked on USPS.com until the number has been scanned / accepted at a post office. · Based on my own experience, a high dollar item was shipped using the SCAN Form, but the package itself was not traceable. The tracking number on the shipping label when entered on USPS.com simply stated “Not Found”. · New and experienced buyers alike questioned if their package had been shipped and why the status of the tracking number provided had not been updated. 4. After speaking with the postmaster, she suggested that I continue to use the SCAN Form, but assured me that each package will be scanned / accepted at the counter. Her suggestion defeats the purpose of using the SCAN Form to save time and effort. Based on my own experience, I have reverted back to printing one shipping label at a time, presenting each package to the postal clerk to be scanned / accepted at the counter. As a top rated seller on eBay, I cannot risk the chance of receiving a defect for something that is out of my control: United States Postal Service mail delivery and acceptance. Reduce time and effort when shipping a number of eBay items by using the Shipping Action – Print Shipping Labels option within eBay. Online sellers who ship more than one item at a time can create and print up to 50 labels at the same time. 9. Select to print the Shipping Labels and USPS Shipment Confirmation Acceptance Notice (SCAN) Form. SCAN Form is not automatically selected by default so be sure to check this. SCAN form. The SCAN Form includes a bar code that contains detailed package information. Present the bar code on the SCAN Form to the postal clerk, instead of scanning each individual shipping label. Sellers should beware of printing multiple shipping labels using the USPS SCAN form. Click here to see why. For detailed instructions on how to get started selling on eBay and making money. 1. Click on Seller Dashboard on the left side menu. 2. Scroll down to the very bottom of the page to view “Your totals to date”. On the bottom of this page, are total number of transaction and sales. The default is set to USA sales only. To view global sales to date, scroll up to the top of the page and change the region value to global. To get started shopping on eBay and making money, Starting an eBay Business For Dummies by Marsha Collier is a great read and voted one of the Best Books of the Year So Far by the Amazon.com editorial team. Visit the Pinterest board, How to Make Money Selling on eBay for more information on what to sell on eBay. For details on what this Mom has sold on eBay, visit the Pinterest board: I sold THIS on eBay! 8. The status will state “In Progress”. After a few minutes refresh the page (hit F5) to see if the status is updated. If so, click Download. 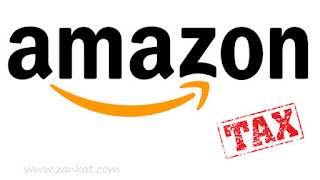 Only online sellers who exceed the IRS thresholds will receive an IRS Form 1099-K from Amazon. 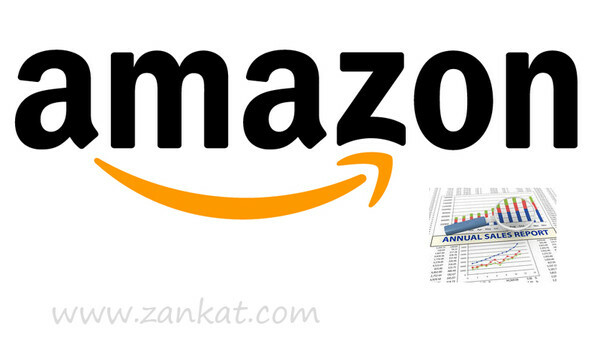 To generate a tax form 1099-K from Amazon, visit How Amazon Sellers Find Tax Form 1099-K.
7. The status will state “In Progress”. After a few minutes refresh the page (hit F5) to see if the status is updated. If so, click Download. 8. The file that downloads is a comma separated file (.csv) that can be opened using Microsoft Excel. Only online sellers who exceed the IRS thresholds will receive an IRS Form 1099-K from Amazon. However, all income earned must be reported to the IRS. Visit How to File Taxes for Selling Online for details on the IRS thresholds. 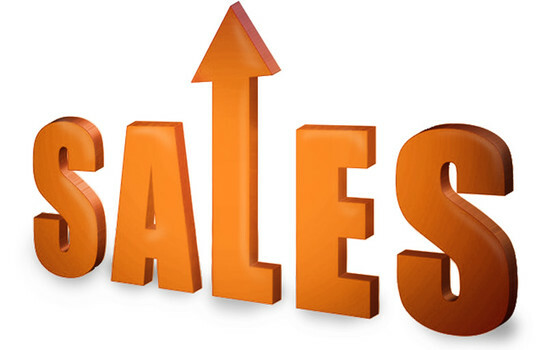 Sellers who do not meet the thresholds can calculate gross receipts with the Annual Sales Report. 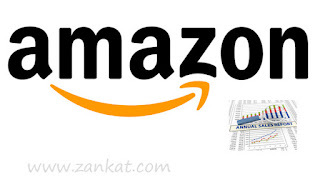 Visit How Amazon Sellers Generate an Annual Sales Report. 1. Log into your PayPal account. Click Activity tab. 2. On the top right, click the drop down arrow next to "Statements". Select "Activity Export". 3. Select Custom Date Range and enter the date range needed for the year. 4. Then, choose download all activity or just completed payments. I recommend selecting comma separated value (csv) format and all activity (Comma Delimited - All Activity) to gather other totals often used on tax form Schedule C.
5. The report is not generated automatically. You will receive an email from Paypal once the report is available. 6. Once the email is received, log in to Paypal and download the .csv file. 7. Open the file in a spreadsheet program (Excel, OpenOffice, etc). Other deductions on Schedule C are available in Paypal’s Annual Financial Summary Report. However, this report is only available to US Business and Premier account holders. Visit Taxes Made Easy with Paypal Annual Financial Summary Report for more information. 3. On the right, select Financial Summaries. The far right side has the Annual Financial Summary. In addition to the information provided on the Annual Financial Summary Report, Paypal users exceeding the IRS threshold amounts will receive a 1099-K form. To see if your account qualifies for a 1099K form, visit How Online Sellers Find Tax Form 1099-K from Paypal. Sellers should have an organized bookkeeping system to store receipts. A simple and inexpensive solution is a bankers box. More sophisticated sellers may choose to store receipts digitally using a receipt scanner. Online sellers who have experience completing a tax return can file online for free using the IRS free file program. Visit How to File Federal Taxes Online for Free. Less experienced tax filers may use TurboTax which offers a guided, step-by-step questionnaire tailored to your personal income tax situation. For further information on tax laws relating to online selling, The Complete Tax Guide for E-commerce Retailers including Amazon and eBay Sellers is a great read! It is against the law not to report all income to the IRS. Whether selling on eBay is your primary source of income, or simply a hobby, all income should be reported. 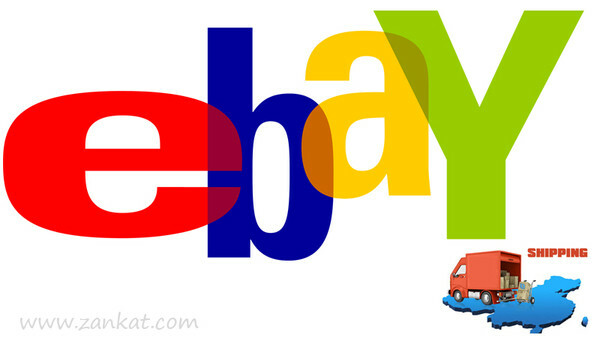 Selling on eBay can be viewed as a hobby as long as one is not in it to make money. As such, any hobby expenses associated can be used to offset the income. However, unlike a business, any hobby losses cannot be used to offset hobby income. If one sells on eBay to make money, then the income must be reported as business income. In addition, any associated losses (lost or damaged packages, refunds) can be used to offset the income. 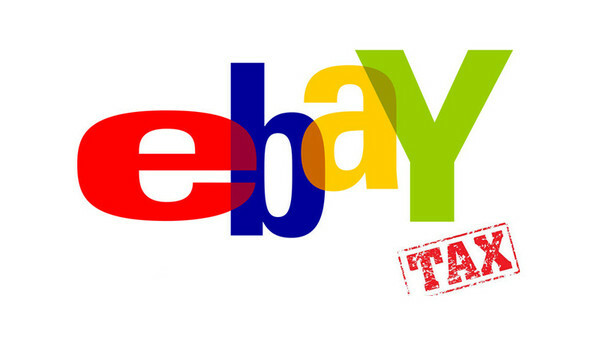 Only eBay sellers who exceed the IRS thresholds will receive an IRS Form 1099-K from Paypal. Sellers exceed the IRS thresholds when they received $20,000 in gross payment volume for the sale of goods or services AND have over 200 separate payments for goods or services in the same calendar year. 1099-K Tax Form is found via Paypal. 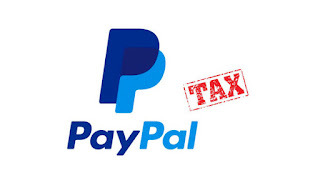 Visit How Online Sellers Find Tax Form 1099-K from Paypal for detailed instructions on downloading Paypal's 1099-K Tax Form. - Keep detailed records including all receipts for purchases and expense. Organized sellers can use a bankers box or store receipts digitally with a receipt scanner. - Research home office use expense. Write It Off! A-Z Guide to Tax Deductions for Home Based Businesses is full of helpful tax deductions. - Many deductions are available on Tax Schedule C Profit or Loss from Business. Visit Taxes Made Easy with Paypal Annual Financial Summary Report for details. 3. On the Activity page, click the drop down arrow next to the Statements link near the right hand side of the screen. If a seller has not met the IRS thresholds, the total sales amount for the year can still be determined. United States Business & Premier Account holders have access to an Annual Financial Summary Report. 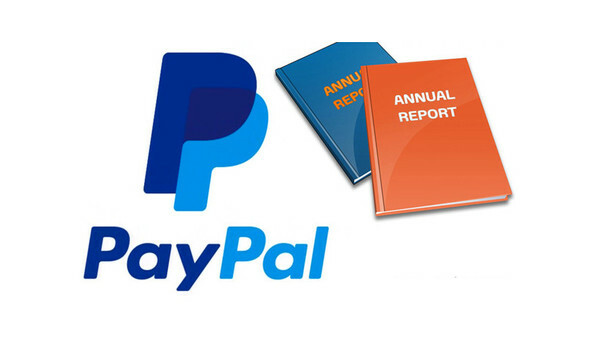 Visit Taxes Made Easy with Paypal Annual Financial Summary Report for more information. Any seller can download all account activity and total the amounts for "Payments Received". 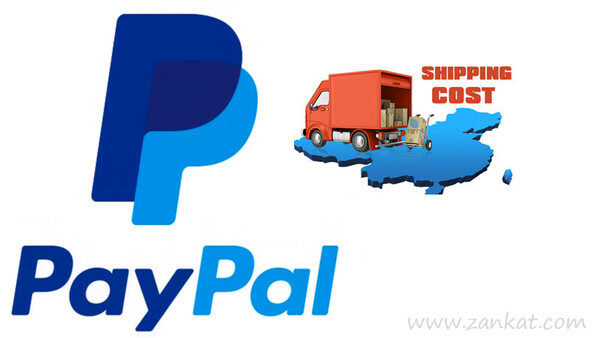 Visit How Online Sellers Find Total Shipping Costs Via Paypal for Tax Filing as an example. One must know how to prepare taxes as the software is not as user friendly as others (TaxAct, TurboTax). The tax forms are fillable and can be sent electronically, but the software lacks the interview type questionnaire available in other tax preparation software. It does, however, perform math calculations and provides basic guidance with help screens per form. 1. Copy of last year’s tax return. 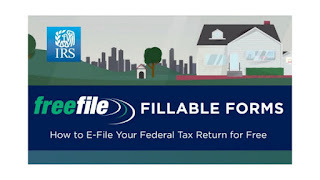 Last year’s Adjusted Gross Income (AGI) is required to e-file this year. 2. Total expenses to be used on Schedule C Profit or Loss from Business. Find out how to determine total shipping costs and transaction fees via Paypal. 3. Total sales for last year. Sellers meeting the IRS thresholds will receive a 1099-K from Paypal. See how to find the 1099-K from Paypal. As always, research the new tax laws and consult a professional if needed.